The iPhone and iPad are still the leading devices in the mobile and tablet market, and with the announcement of the next major version of the iOS, I see no end to their dominance. Let’s take a look at some of the awesome new features that have been revealed for iOS 5 which is scheduled for release this autumn. This is one thing that Android users have been rather smug about, but iOS 5 levels the playing field and does more. Notification Center is a pull down screen available at any time. It basically amalgamates all of your notifications onto one screen that’s “always on”, and even adds little weather and stocks displays. Not only that, but notifications are no longer intrusive. Instead of blocking the screen and pausing your current app, the notifications are displayed at the top of the screen. You can still click them to go straight to the app in question, or you can pull down the full notification view to see any others. The notification view on the lock screen has also improved greatly, breaking up various sections of notifications and allowing you to swipe to access any of them straight away – rather than unlocking the phone, finding the app which the notification was from, and opening it from there. Since one of the primary uses of your iPhone is to take pictures, there’s a new single click photo app access button from the lock screen. Not only that, but the volume up button can now also function as a shutter (something which was previously available in a third party app – then ripped out by Apple on the basis it would confuse users!). It’s a welcome addition, but certainly nothing revolutionary. You can also now focus and hold to lock in that auto exposure/focus setting, so moving around won’t mess up your scene. Along with the slightly upgraded camera app comes some basic photo editing in the Photos app. Red-eye reduction, one-click enhance, and crop/rotate can now all be performed from within the app, something which has been possible with third party apps but was missing from the core functionality. I can’t say I’m excited about this, but some of you might be. There’s now a single sign on mechanism for Twitter in the iOS settings, and tweet buttons and functions all over the place, with a nice little “tweetsheet” with letter count-down, optional location and photo. I expect this feature is going to be overlooked, but it sounds to me like a huge middle finger up at the ridiculous charges from mobile carriers for SMS messaging. The new iMessage app is an enhanced messaging app for inter-iOS 5 communication, and as such will use your regular (and MUCH cheaper) data plan rather than regular SMS charges. With full multimedia capabilities, it also adds encryption and read notification. Obviously, you can still send multimedia messages to users of other phones, but those will be subject to your regular carrier charges. Another amazing feature is that this completely bridges the divide between iPad, iPhone and iPad touch – since iMessage will work on wifi or 3G networks, messaging is no longer tied to a mobile carrier. Though it hasn’t been announced, I wouldn’t be surprised to see this making its way to OsX, or at least be interoperable with iChat for true Apple cross-device messaging. iCloud is an automatic wireless syncing service with lots of core functionality that’s set to replace the aging and costly Mobile.me service. In fact, you get a free @me.com address with service, and it’s completely free with iOS 5. For this you’ll get 5GB of storage included – however, it’s important to note that your purchased music, books, apps, and photostream don’t count towards this total allowance – so the 5GB is exclusively for settings and documents. One absolutely stunning annoucement is that for $25/year, your iCloud will “match” all your current ripped songs with 256kbs DRM-free versions in the cloud – far, far cheaper than any similar services and completely avoiding the need to upload your files at all. This is quite incredible, and considering iCloud will save me $99/year on mobile.me services alone, I think $25/year for upgrade cloud versions of my entire music collection is quite a good deal. We’ll cover the new iCloud feature in detail closer to launch. Wait, did I just mention wireless syncing? Yes! Not only do your documents, photos and apps now automatically sync using iCloud, but you no longer need to connect to iTunes to sync your music and videos. 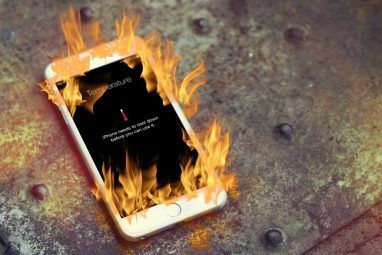 This also fixes a long time annoyance of new iPhone users that they must connect and sync to iTunes once before they can even use their new phone – now it’s usable straight out of the box. Potentially killing all the current to-do list apps in one fell swoop, Reminders is a location and time aware list app that’s an entirely new core application for iOS 5. Apart from being a simple list maker, location awareness is able to set reminders dependent upon your current location. For example, by adding a reminder “phone Jane when you leave London“, your device will set up a perimeter around London, and give you a location reminder to “phone Jane” when you physically leave the perimeter set up. Time-aware also adds some simple time commands that have been built-in to iMail for a while, such as “meeting with bob at 3pm Thursday“. In short, it’s a highly intelligent list maker, to-do list and scheduling app. With so many exciting new iOS 5 features, I can hardly wait. Is iCloud going to be a DropBox killer? Will wireless syncing give iOS the ultimate edge over Android? I just haven’t got the space to cover all the new features and apps, so stay tuned as we continue to highlight some more incredible new features. What are you most looking forward to? 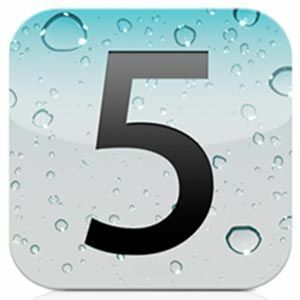 I see only about 5-10 iOS 5 features showing on the internet. What about the other 200+ features, that Steve promised 2011 WWDC keynote conference day. I'd like to see more of those 200 features being posted in this blog. I guess you would have to ask Steve? There are indeed 200+ features, but I'm afraid I cant write about all of them (and nor can Steve present them all in single keynote I suspect). Also, some are probably quite boring. Will iOS 5 allow me to print to my pogo bluetooth printer? Somehow, I very much doubt it. That's a little too niche to warrant making it's way into the firmware, don't you think? I would say that's on the Pogo printer developers part to make a iOS app something that can interface with it. Yep, you are missing something. Right now, you have to plug it in and take the time to sync every time you want to update. This does it wirelessly, and automatically. the amount of time that it takes every year to do that is worth more than $25 to me personally. I'm guessing you never subscribed to mobile.me either, because you can also sync contacts and appointments and mail manually too - but the point is that mobile.me did it for you, seamlessly, automatically. iCloud is a replacement for that, at it's heart - but now it does music, apps, photos, and lots more. If you're looking at this from a single perspective of "i can put my music in the cloud and not even stream it" then sure, it's lame. Consider though, it's essentially allowing users to upgrade up to 25,000 pirated songs into DRM-free 256kbs legal copies, and those do replace the pirated ones - you can keep them should you decide not to pay the yearly fee. This is the more fundamental point to me, because it's the music industry finally embracing the digital era and allowing for an alternative payment strategy that *works* at a reasonable price. A quick perusal of my itunes shows 7,000 songs, most of which are of dubious legality. For $25 a year, you're damn straight I'll go legal - and that's the essential driving force behind this move, I believe. 2) Is really the only benefit that its synced over wireless? Why would I want to wait several minutes to download a song over 3G (if it even works over 3G) if I can just plug it in to my computer to copy it over myself? I can see the *slight* improvement in convenience if I have more than 1 iOS device, but in all probability, most consumers have only 1 iOS device. 3) I've heard this before that this is somehow "legalizing" an illegal mp3 collection. 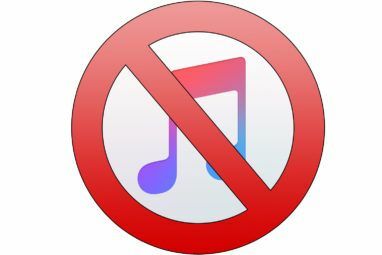 Does iCloud actually replace songs that are currently on your computer? If not, then I hate to break it to you, but those songs are still illegal. Additionally, what if you're an audiophile and have several songs that aren't 100% legal, per say, but are encoded at 320 kbps or with a lossless codec (which mine are)? Essentially I'm downgrading my songs to have them synced across all my iOS devices "easily". Again, I can just sync them all myself. Furthermore, what if my collection is 80GB and I only have a 16GB iphone or 32GB iPad? How do I choose which songs transfer? I just fail to see how this is truly a cloud computing system. In actuality, there is very little data being stored "in the cloud," so I feel that calling it "iCloud" is somewhat disingenuous. Apple should stick to what its good at: creating beautiful devices. Leave the software and "cloud" side to companies that actually get it. 1) I dont use gCal, I use iCal. I dont want to sync contacts with my disposable gmail address either. It's good to have alternatives. As far as i know, the iTunes match is US-only though. And as for your own copies being better quality - that's fair enough, you can keep those. You dont *have* to overwrite with apple's. I've been using Android for over a year now, but they've finally implemented the vast majority of features with iOS that Android has. This may just sway me into switching back to the iPhone now that it's on Verizon too. Looks awesome! I concur with Mjrl concerning landscape locking, and would like to add the ability to disable some of the other automatic apps (Stocks, Notes, etc.). Just taking up space, y'know? Doubt it will happen, but agreed. Why cant I delete that crap from my homescreen? Well, iOS 5 looks good. One thing that I would like to see is the capability to lock the screen in landscape as well as portrait. I honestly hadn't noticed that until you mentioned it. Now you do, that does seem kind of strange. However, the fact that I hadn't it until now suggests it probably isnt one of the most demanded features, though it seems like it would be trivial to include it. 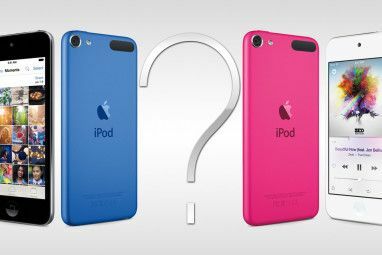 Should You Buy Apple’s Best iPod Touch Ever?